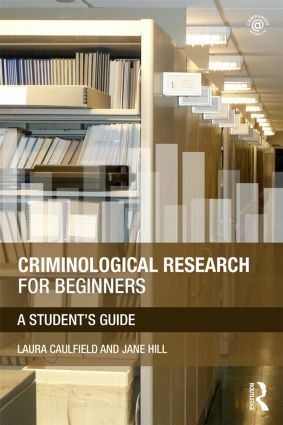 Criminological Research for Beginners is a comprehensive and engaging guide to research methods in Criminology. Written specifically for undergraduate students and novice researchers, this book has been designed as a practical guide to planning, conducting, and reporting research in the subject. By first inviting readers to consider the importance of criminological research, the book places related methodology firmly in the context of students’ broader study of Criminology, before moving on to provide a detailed guide to the practical processes of research. It is common for Criminology undergraduates to feel intimidated at the prospect of conducting their own research, and these students typically struggle to see the relevance of research methods to their own studies. This book speaks directly to the needs of such students, and includes contemporary examples and case studies that bring a topic that is often thought of as dry to life, providing a thorough and accessible practical guide that students can return to at each stage of their research, all the way through to their dissertation. Including an extensive glossary and an integrated companion website with extra examples, exercises, and videos to further develop students’ understanding, this book is essential reading for any undergraduate on a Criminological Research Methods course, or for anyone in need of practical guidance on any or every of the various stages involved in conducting thorough and effective criminological research. Planning: Where do research ideas come from? How do we ‘fine tune’ them?